When Boston heiress Adrienne Ridgely strides into his Honolulu office, Surfing Detective Kai Cooke likes what he sees, but doubts what he hears. Adrienne’s sister, environmental activist Sara Ridgely-Parke, plunged to her death from a mule on Moloka‘i – the first fatal incident on the soaring cliffs above Kalaupapa’s fabled leper colony. Murder, cries Adrienne, perpetrated by Sara’s ex-husband, developer J. Gregory Parke. 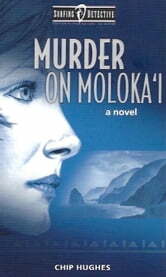 Cooke flies to Moloka‘i, tracking tantalizing leads to an unlikely murder that, despite himself, he starts to believe in. Was the mule prodded or spooked or drugged? Did Parke do it for vengeance, or Adrienne for an inheritance, as Parke alleges? Soon Kai uncovers a motive more noxious than either of these – entangling him in the shady dealings of big-time developers, corrupt politicians, and underworld thugs. As he hops from island to island seeking a pivotal clue, the clock ticks down on more than the P.I.’s case or even his own life. 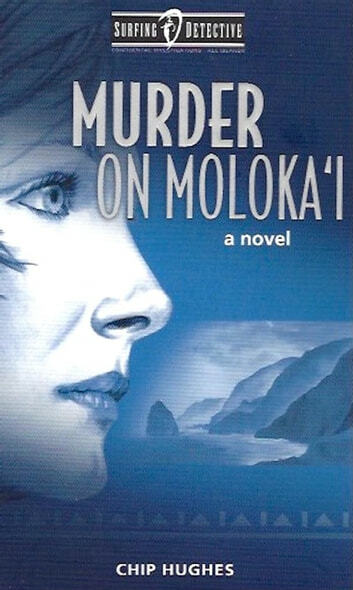 The future of Moloka‘i itself is at stake.